Dogs Prove To Be Key In Battle Against Giant African Snails : The Two-Way While Florida hasn't yet declared victory, more than 128,000 of the destructive creatures have been found and eradicated in the past two years. Labrador retrievers are being used to sniff out the snails. "Bear," who has been trained to sniff out Giant African Land Snails. 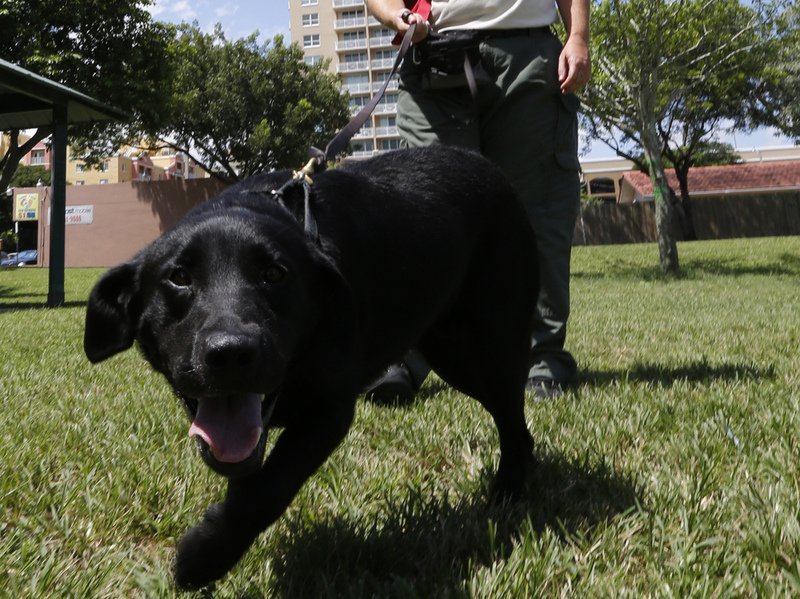 According to South Florida's WTVJ-TV, one of the Labrador Retrievers out hunting snails is Bear — a U.S. Department of Agriculture canine who recently has been finding hundreds of snails each week (which is fewer than were being discovered last year, a decline that officials think is a sign they're making progress). "The snails can also cause structural damage to buildings; they consume plaster and stucco to acquire the calcium needed by the snails to grow their large shells. In large numbers, GALS can cause extensive damage." It's thought that the invasion began with the smuggling of a few snails into Florida by a man who practices a traditional African religion. He reportedly convinced some followers to drink the snails' juices. They became violently ill.